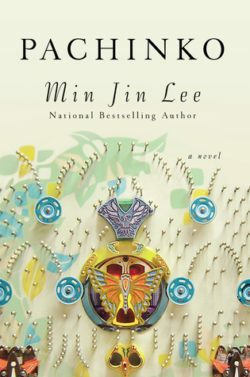 Min Jin Lee talks about her acclaimed new novel Pachinko. It’s a multigenerational saga about a Korean family in Japan that defies oppression to thrive in a society stacked against them. 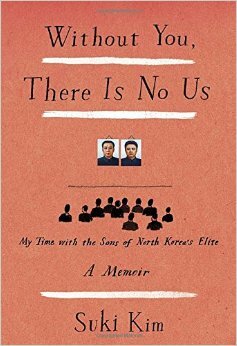 Then we air an edited version of our 2015 interview with Suki Kim about her book Without You There Is No Us. It’s her memoir of going undercover with the sons of the North Korean elite. America has a racism problem — but we aren’t the only country where systematic discrimination is practiced against an ethnic minority. In Japan, the despised minority is Korean. Min Jin Lee’s terrific new novel Pachinko tells the multigenerational story of a Korean family in Japan, from the early years of the 20th century to 1989. It begins in Korea with Sunja, a young woman from a poor family who becomes pregnant and then is abandoned by her lover. When a young minister offers to marry her and bring her to Japan to start a new life, she leaps at the chance. But what she finds in Japan is poverty and tragedy. Through grit and courage, she thrives, setting an example that inspires her sons and their children as they continue to confront barriers of prejudice and discrimination. Pachinko shows how Koreans have responded to the restrictions the Japanese have imposed on them with ingenuity and resilience. Many Japanese Koreans have found success in the pachinko gambling industry. Much like Jews in medieval Europe, who went into the despised business of banking because they were not allowed to work in almost any other area, Japanese Koreans took over the pachinko business as one of the few arenas where they could find employment. Pachinko is a compulsive read that tells a powerful story about a history unknown to most Americans. And it’s not just history, author Min Jin Lee says. Despite some gains, Koreans are still not treated as equals by the Japanese. North Korea has been much in the news lately, as the Trump administration seems to be taking a hard line against the bellicose leader of North Korea, Kim Jong Un. Suki Kim taught in Korea for the year before the death of Kim’s father Kim Jong Il. WV spoke with her about her memoir of that time, Without You There Is No Us, back in 2015. We hear an edited version of her interview on today’s episode. The broadcast on tyranny was especially helpful. Thank you!